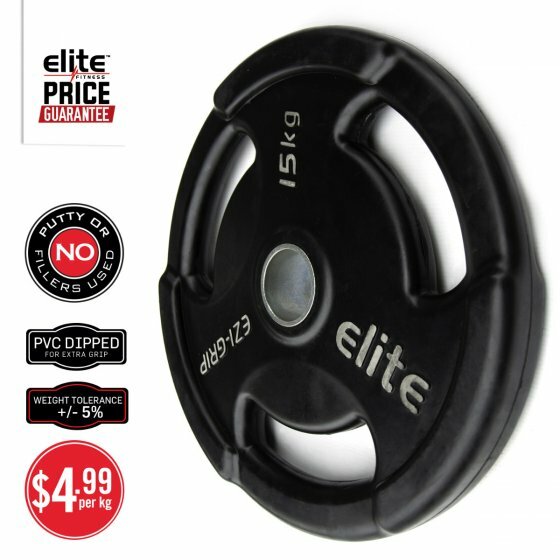 The unique Elite EZI-GRIP Olympic plate has been carefully designed to ensure a comfortable stronger grip when using the plates, which allows them to be fully versatile so you get the most out of your workouts. The EZI-GRIP plate can be used for all types of functional training, you can achieve a full body workout with just a few plates! The EZI-GRIP plate has been made with cast iron and can be used on all olympic diameter bars or handles.